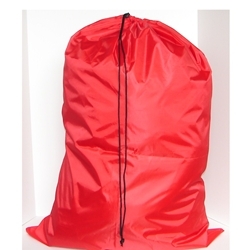 This is our 30"W x 40"L red polyester laundry bag. It features an easy to use slip lock closure. This laundry bag will make your laundry room look nice and bright. It is made of commercial industrial strength material and will work for home or institutional use.